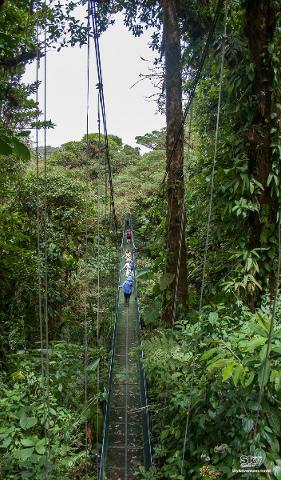 The tree trunks and branches of Monteverde Cloud Forest Trees are festooned with carpets of mosses, ferns, orchids; bromeliads and many other plans. 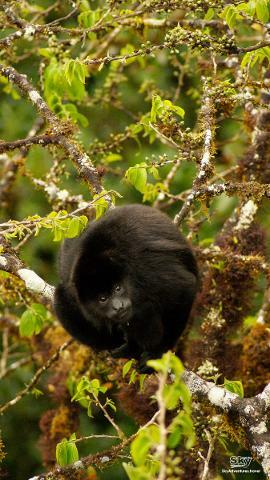 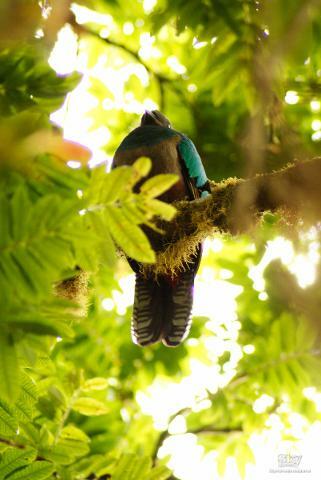 But also mammals and birds, make their living on the treetop of the tropical forest. 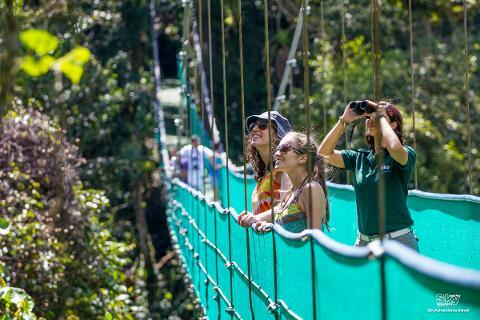 So you can explore this universe of nature and wildlife by climbing a tree or walking the hanging bridges in company of a local expert guide. 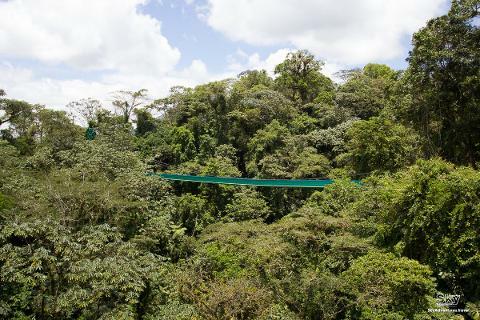 Sky Walk uses trails and a series of suspension bridges for a more relaxing introduction of the flora and fauna of the forest canopy. 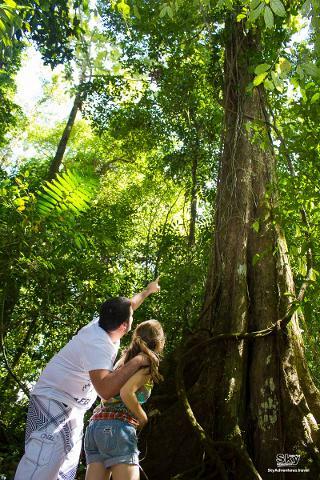 It allows a vision of the forest from a different perspective which starts with a hike on the ground and then taking you to explore the treetops, a hardly discovered habitat called the “canopy” with a naturalist guide. 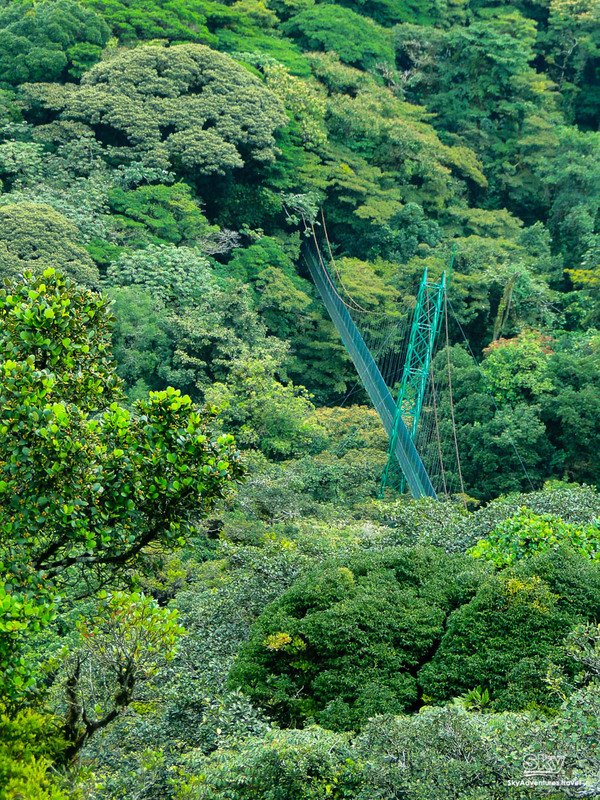 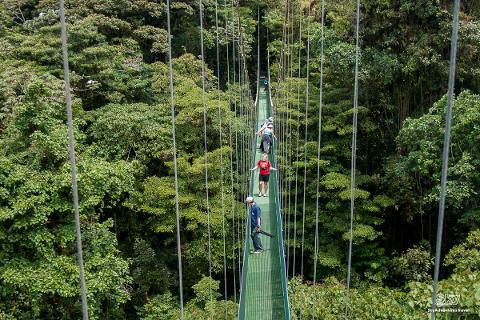 In Costa Rica, Sky Adventures was the pioneer in building hanging bridges, with the introduction of Sky Walk, to admire the forest from unique viewpoints. 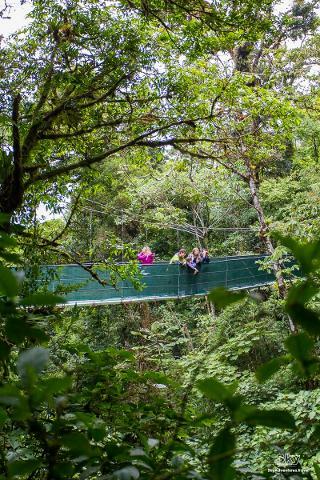 Sky Walk’s bridges span across canyons and bring visitors face to face with the upper level of the forest canopy. 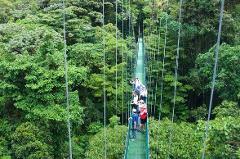 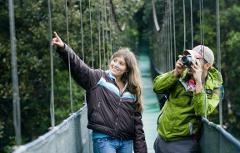 Costa Rica Sky Adventures are the founders and creators of world famous Sky Walk Hanging bridges. 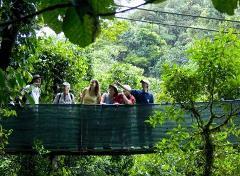 Local guides accompany each tour and help visitors learn about native plant and animal species. 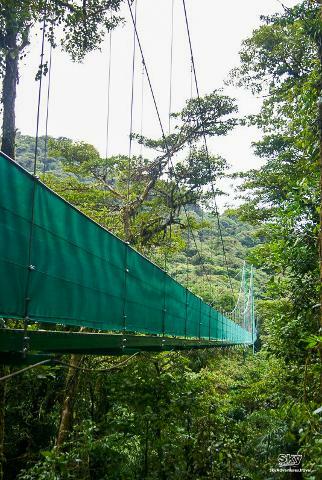 Bridges built with high quality materials designed for safety but to also let the hiker admire nature. 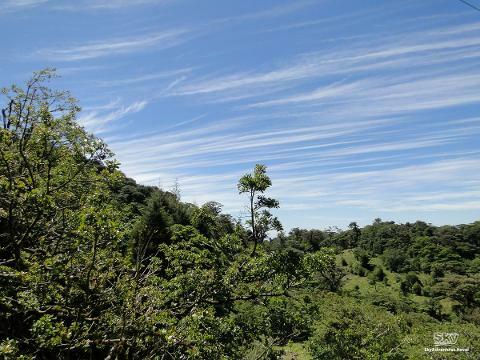 Well maintained and generally flat trails, not muddy nor strenuous, for a smooth and pleasant hike. 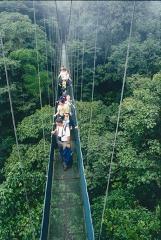 90% of organisms in the forest are on the top of their trees, through which you will be walking. 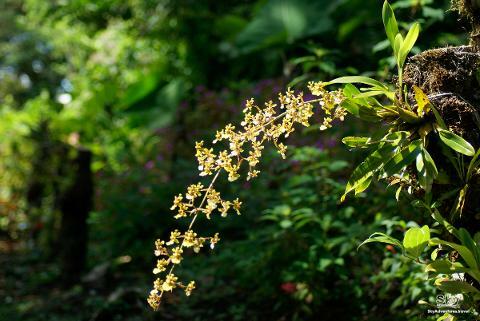 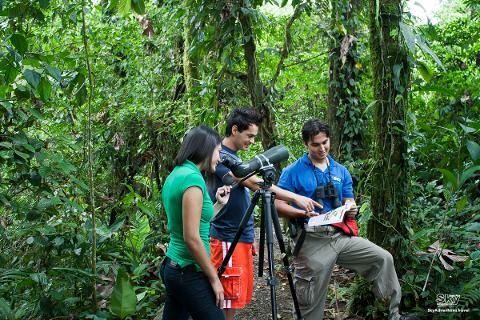 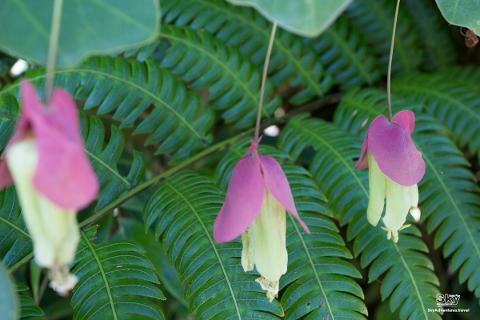 Appreciate Costa Rica’s magnificent biodiversity walking and admiring nature in our various trails. 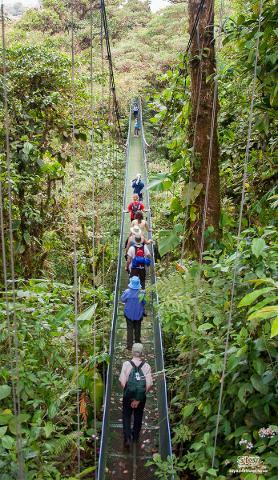 Trail Type: Mostly flat. 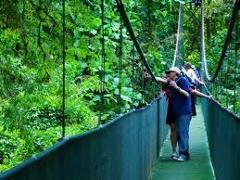 Partially accessible by wheel chair.